Mazdaspeed wheel colour? & looking for image on white R3? I've spent quite a while searching for answers or images, and any that were here are lost in the pit of changed links. I have a set of Mazdaspeed 18" wheels that I may put on my R3 as the roads around here are getting bad. However, they have been refurbished in black, which I don't like on my white R3 (see image), and all trace of the original colour is lost. @ A paint code or description of a colour match for the original colour? 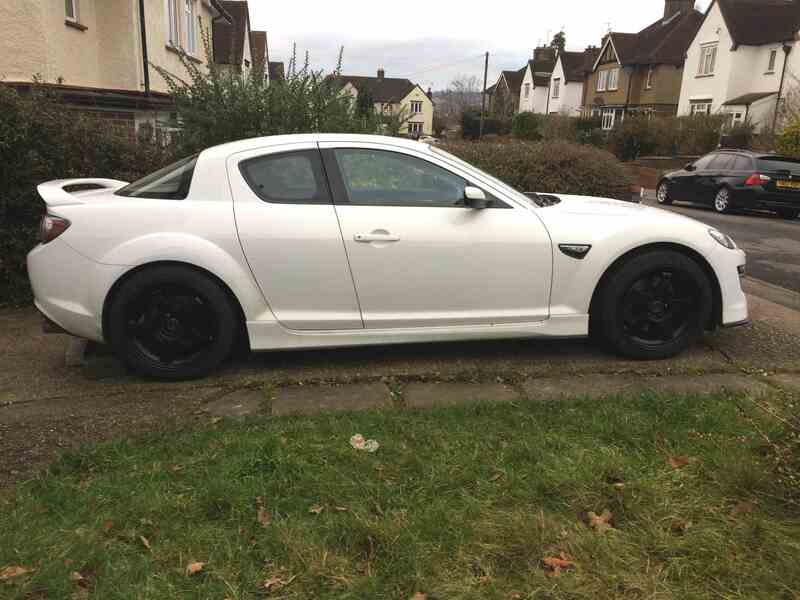 @ Images of these Mazdaspeeds in silver or light anthracite on a white Rx8, preferably an R3. @ Images of silver 40th Anniversary wheels or silver R3 wheels on a white R3? Note that I am in the UK so unless you are there too please don't ask me for prices for selling the Mazdaspeeds as sending them to the US or similar is expensive. 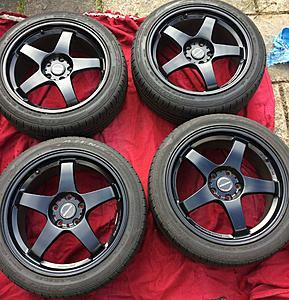 Quick Reply: Mazdaspeed wheel colour? & looking for image on white R3?